Every winter it seems Plattsburgh City is going to be on top of the snow removal problem with public sidewalks. Meetings are held, options are discussed and this time it will be different. And every winter pedestrians are disappointed. 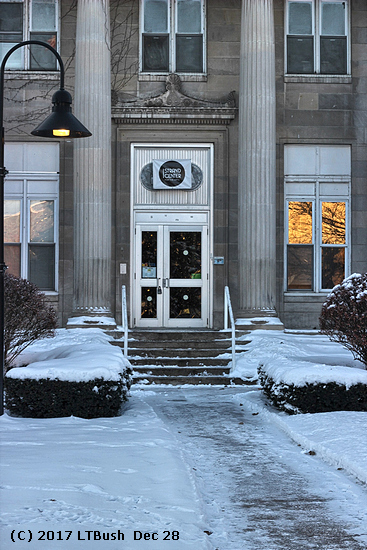 Back on December 9th the Press Republican ran an article entitled "City residents reminded of snow laws" that excerpted and paraphrased a Plattsburgh City news release. As before public sidewalks adjacent to a property have to be cleared by the property owner within 24 hours after the city declares a snow emergency has ended. And then there was this item from the news release: "If unable to remove snow/ice with hand-operated device, please make sure the sidewalk is covered by a substance to prevent slippery conditions." Substances could be salt or a sand-salt mixture. 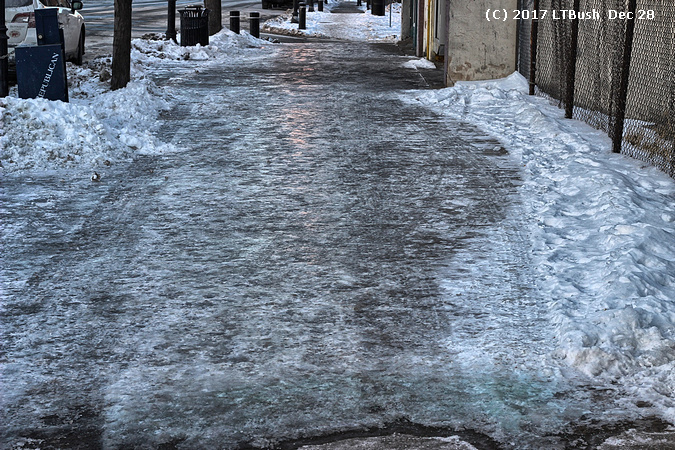 But long sections of sidewalk downtown remain covered with glare ice, extremely slippery, bare of any traction-producing substances. 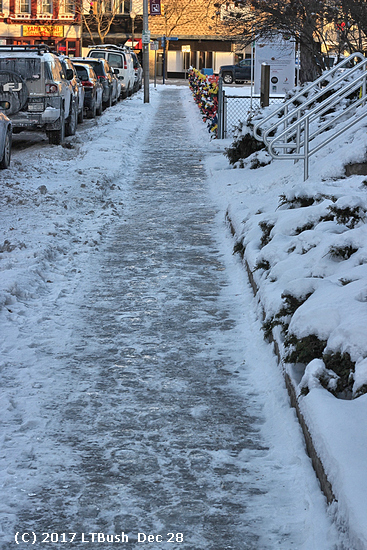 And to add to the problem some sidewalks on properties remain treacherous. For example I almost fell while walking slowly and carefully on the icy sidewalks at the arts center. One spot was extra slick but I caught myself in time. No signs of salt/sand application. Apparently an artist is supposed to create new works with an arm in a cast. Kudos to those who cleared sidewalks down to the bare concrete and then added salt. Not everyone is an idiot or a scofflaw.